There’s been speculation about Meghan and Harry’s future kids since before they’d even tied the knot, and it seems that the Duchess herself has been in on the whole hypothetical kid chatter – for quite some time. In an interview with Hello Magazine back in 2015, Meghan revealed she’s already acquired a very special piece which she plans to gift to her future daughter. 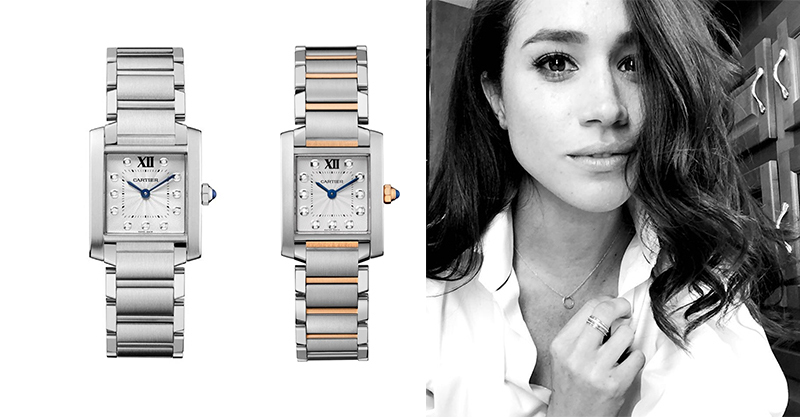 The former Suits star has gone from Rachel to royalty in the interim and says a $10 000 Cartier French Tank watch she gifted herself is particularly sentimental – and an heirloom-to-be. The Cartier Tank was favoured by another member of the royal family – Harry’s mum, the late Princess Diana. Royal expert Katie Nicholl recently told ET, “My sources are saying that Prince Harry, particularly, is very keen to start a family, pretty soon after the royal wedding. He’s made no secret about wanting children.” Meghan’s friendship with sister-in-law Kate has apparently confirmed that it’s possible to raise a royal family with plenty of time away from the media spotlight.